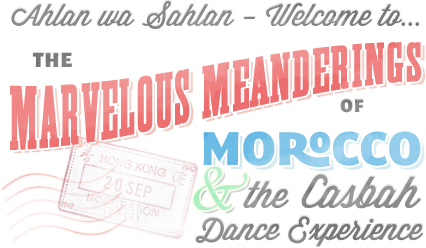 I went to Egypt with “Morocco” (Carolina Varga Dinicu) in 1993, so I know that her dance tours deliver all she promises: a dance-packed trip with congenial, like-minded people and lots of extras, including museums, travel in the countryside, visits to costume designers, and well-informed guides. I grabbed the chance to go with her on “Tantalizing Turkey” from July 8 to July 22 this summer. It was perhaps the best trip of my life, even if the Middle Eastern dance scene is not really up to scratch. 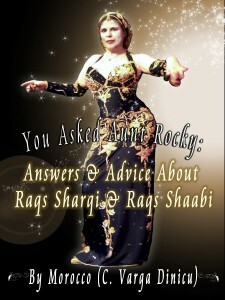 Morocco – known as Rocky to her thousands of admirers – is a long-time international Middle Eastern dance teacher, performer, world traveller, and occasional tour leader to Egypt and Morocco (the country), who works out of her downtown brownstone in New York City. She’s a member of our own MEDAH and keeps in touch with Toronto’s events. Now that Morocco and Egypt have become much less attractive as dance tour destinations, Rocky decided to put together her first group trip to Turkey, even though she knows the Middle Eastern dance scene is nothing compared to what we saw until recently in Egypt. Our group met at the Turkish Airways desk at JFK airport in New York on Saturday, July 8, 1995 for an orientation lecture by Rocky, who simply will not take people with her unless they agree to observe local mores, including a strict dress code. We were a much smaller group than is usual for Rocky; thirteen, all female. We were delighted to discover that ten of us were veterans of the 1993 Egypt tour. It was like a reunion as we picked up conversations we had left off. The Turkey trip allocated seven days to Istanbul, and five days to the Asian side of Turkey in Asia Minor. We got around by private minibus. Rocky plans her tours with dance performances in the evenings, leaving the days free for organized sightseeing and time for oneself. For the whole two weeks, we had the same wonderful guide, Selim, who was at first bemused and formal with his female entourage, then mellow and witty. Rocky had warned us about the Turkish Middle Eastern dancers, so we weren’t setting our sights too high. We saw four evening nightclub shows in Istanbul (Orient House, Gar Gazinosu, Galata Tower, and Karavanseray). The clubs were literally packed with tourists from all over the world, but especially from Japan. It appeared, though, that I was the only Canadian in Turkey. We also saw two shows while we were on tour – but more of that later. 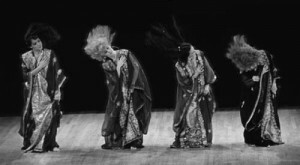 The Istanbul shows were pretty much alike, with three short “belly dance” acts, three or four folk dance acts and good live music, with from three to four musicians playing partly on traditional instruments. To conclude the evening, a MC sang and made the folks warm and comfy-feeling. Part of this involved getting women up to make fools of themselves learning “belly dance”. Unfortunately for the MC, members of our tour kept getting chosen, so the results were not as planned. Pretty good dancers in our group! I was able to videotape samples of the dancing we saw; if MEDAH members wish to get a better idea of what Turkey has to offer, I can make these available. The first belly dance act usually lasted five minutes, followed by a photo “op” for each tourist with the dancer. The second and third acts were also short: about ten minutes – and were only slightly better. There wasn’t much dancing going on, which wasn’t surprising given that the dancers wore shoes with incredibly high heels that all but prevented hip work. They did lots of turns, quick fluttery hand movements, and sinuous shoulders – but oh, those bare buttocks! The costumes consisted of lots of gorgeous, elegant beadwork in belt and bra, with strip skirts hanging between the legs in front and in back like long loincloths. In Turkey, there are no superstars like there are in other parts of the Middle East. The dancers were all young, very beautiful, and very inexperienced. It appears that this is what sells now in Turkey, and dancers quickly go on to some more promising career. We missed the more mature, developed style of Egypt, but the rest of the audience always went wild. The folk dancing was another matter. Turkey is rich in regional folk dance with its origins in Central Asia, the homeland of the Turkish people, and Islam has never inhibited in Turks’ love of their dancing. Each nightclub has its own small troupe of permanent dancers, all of which were excellent. You got the feeling that you were seeing something of the traditional Turkey, and the individual dances and costumes did, in fact, represent different regions. The dances were all group efforts, usually with men and women dancing together, sometimes doing different steps and movements, sometimes in unison. Their movements included stepping, jumping, skipping, acrobatic leaps, in lines and circles, and there was often a leader calling or shouting. Dancers accompanied themselves on special wooden spoons in much the same way we use metal cymbals. There was much good humour and clowning around. We saw the best tourist shows of our tour of Asia Minor in Cappadocia (Central Turkey), in a nightclub in the middle of nowhere and hollowed out of a rock. 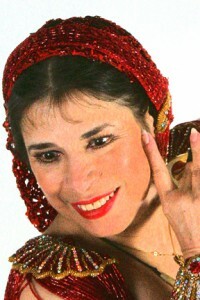 The one (and only) Middle Eastern dancer was given plenty of time in which to develop her act. She was older than the other dancers we had seen, but no less gorgeous. Playful, earthy and soft in approach, she showed us some solid hip work, excellent coordination and polyrhythms from all parts of her body. As a nice touch, she danced on a rug. The folk dance troupe was also the best of the tour. As a finale, they involved the audience in dancing outside the club – around a bonfire, under the stars – to the great enjoyment of our members, who by this point of the tour were tired of always having to sit and watch. The absolute highlight, however, was the evening we watched a sema – that is, the dance of the whirling dervishes. Rocky has impeccable connections and was able to arrange for our group to attend a private event in a small local mosque. The evening, which began with prayers, then a meal, followed by the dancing, lasted 3 hours in all, of which the sema occupied one hour. Our group participated throughout, though we sat through the prayers and ate the meal in the upstairs balcony reserved for women. For the dancing, we were given the option – I suppose, as honorary males – to go into the whirling room itself. I chose to stay on the balcony and watch from above; consequently, I got an idea of the interesting floor patterns made during the dance, but missed seeing the men from the congregation chanting the accompaniment along with a drum in the adjoining room. The combination of powerful chanting and deliberately turning bodies was deeply moving. I had the sense of participating in religious communion rather than a dance performance – which, of course, it was. One final event worth noting was an afternoon concert by the Janissary Band of the Military Museum – a surprise hit with me. Dressed as traditional Ottoman soldiers, the musicians played various rhythms that used to accompany the army as it marched, attacked (and retreated?). The huge central drum, which was about five feet high, gave the drummer quite a workout. But it was Turkey itself that was the enchantment for me. It manages to be both European and Middle Eastern at the same time, and the country is saturated with human history for the oldest city in the world (Catal Huyuk) through Hittite, Greek, Roman, Byzantine and, finally, Ottoman occupations. We were moving through the Asia Minor of the great Mother Goddess of Ephesus and Aphrodisias. Istanbul/ Constantinople, the city, is a dream, situated on hills encircling three bodies of water – the Sea of Marmara, the Bosphorus and the Golden Horn. As a result of being the centre of a rich empire for fifteen hundred years, the city overflows with massive and exquisite architecture and treasures taken from far and wide. The museums are also outstanding. So what else could you want? The cuisine – with its appreciation of fruits and vegetables – is divine; the prices are reasonable; the people are hospitable; the sun shines; the scenery is varied and spectacular; the crafts and shopping are unlimited; and the custom – made dance costumes come with innovative and intricate beadwork. As you can probably guess, I’ll be back as soon as I can – in spite of the Middle Eastern dancers.